Mix chocolate, sugar, milk and salt in heavy sauce pan. Place over heat and stir to mix thoroughly. Turn down heat when it begins to boil. Cook to soft boil stage (238 degrees). Remove from heat. Add butter and marshmallows. Do not stir, let stand 25 minutes. Add other ingredients and stir only until crumbs are mixed in well. Our into buttered pan and let cool. Cut into squares. 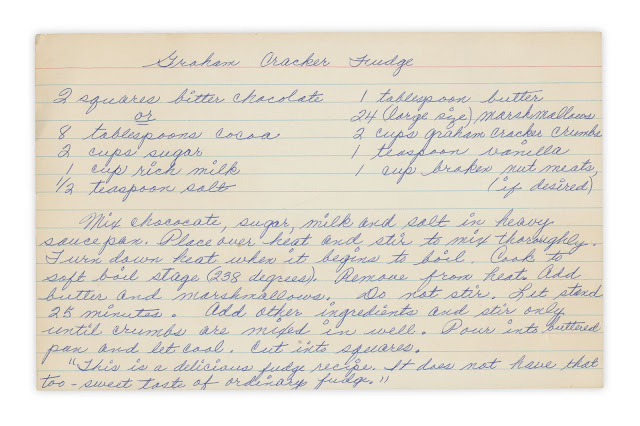 "This is a delicious fudge recipe. It does not have that too-sweet taste of ordinary fudge." 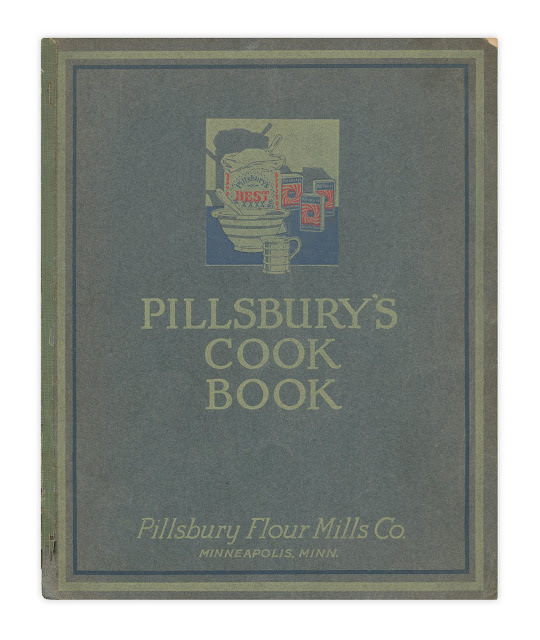 Found in "Pillsbury's Cook Book" published by the Pillsbury Flour Mills Co., 1923. Sounds yummy--but what does rich milk mean? whole milk? I know, I know, I can google it. And I agree about no nuts! I'll be making this! YUM! Mmm graham crackers and marshmallows and chocolate! I might have to try making this one.